I’m hearing from so many who love the ladies of the AAGPBL. Even 60 years later, they’re still thrilled to sign autographs. Carol’s saying that custom-card makers may have a tough time convincing these retirees to autograph your creations if the league logo appears. The retirees are concerned about their history and legacy.Years ago, Fritsch Cards swung a licensing deal with the association. (I’m unsure about any possible money involved.) I’ve known more than one collector who got a turndown over a custom sent, being told, “I can only sign official cards.” I’ve interpreted those worries as loyalty to Fritsch Cards, with those non-signers feeling that the company deserves special respect for keeping the AAGPBL history alive. I’d welcome any other thoughts or insights on recent AAGPBL signers. Meanwhile, mark your calendars for May 5. 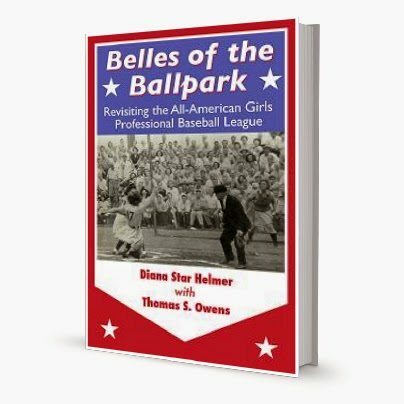 That’s the day for the re-issue of Belles of the Ballpark, the expanded history of the league written by my amazing co-author wife, Diana Star Helmer. 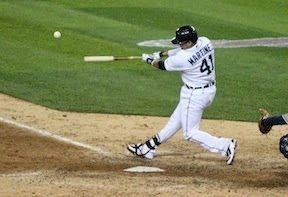 Check out the book’s special page at Summer Game Books. You’ll have your choice of e-book or paperback. And, as Carol mentions, there’s still nearly 140 possible signers out there.